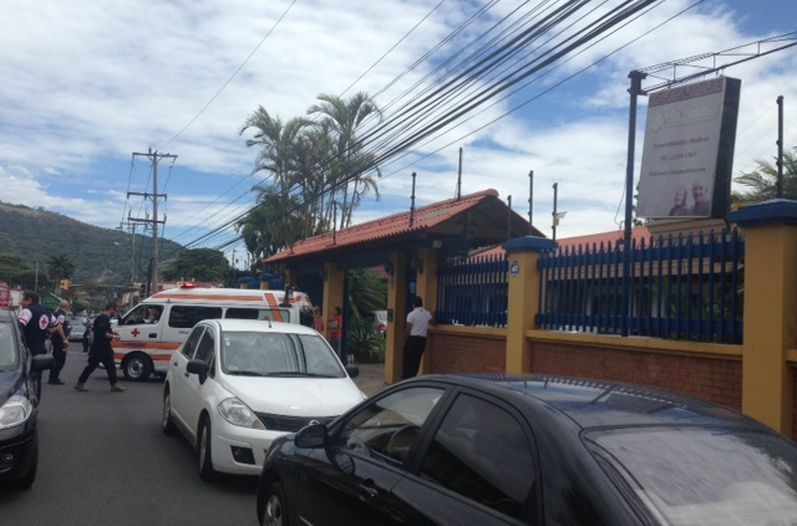 QCOSTARICA – This Eastern Air Lines jet made on Monday its debut arrival to the Juan Santamaria (SJO) international airport. 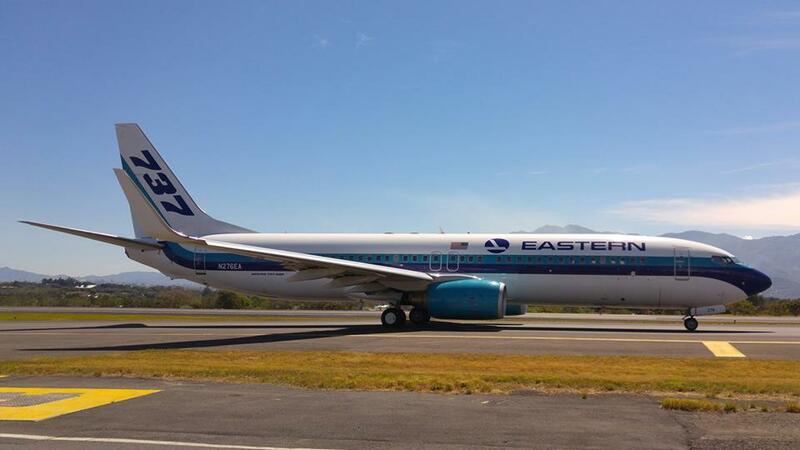 Eastern Air Lines was a major American airline from 1926 to 1991, when it was dissolved due to financial problems. 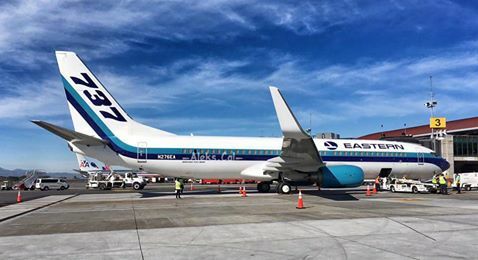 The new Eastern, based out of Miami, founded in 2011, the airline operates charter flights from Miami and destinations in the United States, Caribbean and Latin America, including now Costa Rica and plans to begin scheduled operations in 2016. Eastern was one of the “Big Four” domestic airlines created by the Spoils Conferences of 1930, and was headed by World War I flying ace Eddie Rickenbacker in its early years. It had a near monopoly in air travel between New York and Florida from the 1930s until the 1950s and dominated this market for decades afterward. Labour disputes and high debt loads strained the company in the late 1970s and early 1980s. In 1989, Eastern ran out of money and was liquidated in 1991. American Airlines obtained many of Eastern’s routes from Miami to Latin America and the Caribbean, while Delta Air Lines, Eastern’s main competitor at Hartsfield Airport in Atlanta, acquired many of Eastern’s Lockheed L-1011 aircraft.